According to the US Government Accountability Office, more than five million service members will transition out of the military by 2020. Already, more than 1.4 million service members, veterans, and their families have taken advantage of the expanded education and training benefits afforded them by the Post-9/11 GI Bill, signed into law in 2009. David Harrenstein, a junior majoring in family and human services, was 17 when he left for boot camp two weeks after graduating from high school. He served in the Marines for 10 years. Taking advantage of the GI Bill, he is a first-generation college student, but the transition from soldier to student hasn’t always been easy. A self-described “high-strung, motivated” Marine with a six-month tour in Iraq under his belt, his level of experience and maturity, as well as his work ethic, has seemed at odds with his younger student peers. However, involvement with the Veterans Family and Student Association (VFSA) on campus helped Harrenstein find other veterans with similar backgrounds and experiences. The VFSA organizes social events throughout the year and holds weekly meetings that give veterans and their families an opportunity to interact and learn about what’s happening in their community. The group also organizes club activities and service projects, hosts potlucks and barbecues, and sets up panels relevant to veterans’ issues. 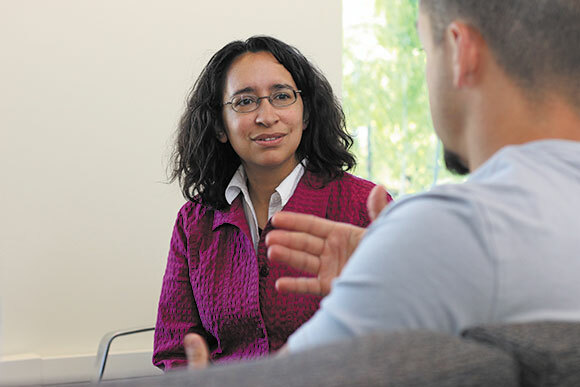 Under the auspices of the Office of the Dean of Students, the UO offers a variety of programs designed specifically to meet the needs of veteran students. 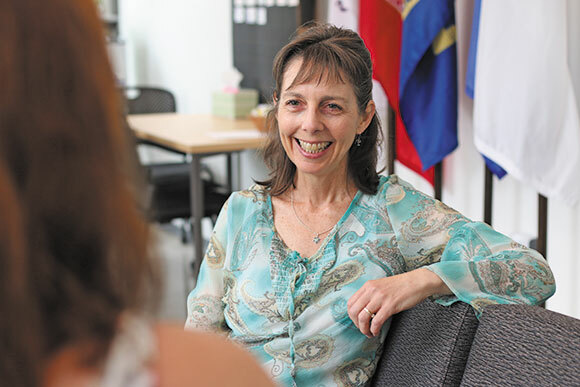 In her role as director of nontraditional and veteran student engagement and success, Justine Carpenter assists student veterans with their transition to the university and with completing their educational goals. This involves providing group programs to support the needs of the student veterans as well as working individually with each student to identify specific areas of need. Students have access to several computer stations and can take advantage of quiet study and lounge spaces. Program coordinators, VFSA members, and student workers help them access community service providers, identify veteran-specific scholarships, learn about workshops, and master new technology. “It’s a place where veterans can come and be themselves. It’s kind of our home away from home,” says Harrenstein. It is also where a new peer-advising program, Peer Advisors for Veteran Education (PAVE), will be housed. The program connects incoming student veterans with returning student veterans to ensure the new students have the support they need to be successful. The program uses a database to identify student veterans via a line on the admissions form that allows them to indicate their veteran status. A PAVE coordinator, a team leader, and nine peer advisors will be available as mentors, liaisons, and ambassadors to assist veterans with everything from academic issues and counseling to referring them to resources for daycare and housing. Indeed, researchers report that a sense of belonging, cultivated through friendships, is critical to any student’s success. This is especially true for student veterans who have come from an environment such as the military where peer support is a central precept. Peer-mentoring programs are key to helping new student veterans overcome challenges such as meeting academic expectations, establishing balance between academic and life responsibilities, relating to nonveteran students, and coping with service-related injuries. One program in the works is Got Your Six. The origins of the phrase can be traced back to World War I fighter pilots, who likened their planes to a clock face, the front position being 12 o’clock and the rear position, six o’clock. On the battlefield, the “six” position is the most vulnerable, so when someone tells you that they’ve “got your six,” it means they’re got your back. The goal of the program is to build awareness about student veterans: not only their challenges, but what they bring to the campus as well. Veterans often overlook their own contributions, which often include a wealth of knowledge, maturity, strong leadership skills, life experience, and resiliency. “Our student veterans are leaders and they bring so much, not only to the university but to the community at large,” Esparza says. Additional resources on campus include the Accessible Education Center (AEC), which offers support and services to all students, and the UO Career Center, which offers peer advising and assistance with résumés and cover letters as well as job and internship searches. Another important element in helping veterans successfully transition to student life is education for the general UO community that is geared toward breaking down some of the stereotypes. A few abiding misconceptions are that every veteran was on the combat front lines, or that they all suffer from posttraumatic stress disorder. Although many veterans may have stressful or traumatic experiences, not all develop PTSD. And according to Esparza, veterans on the UO campus are a diverse crowd. Programs like Got Your Six work with faculty members and the public to help bridge the divide by challenging stereotypes in the classroom (through learning about military history and veteran experience), understanding the tangible and intangible skills gained in the military, destigmatizing mental illness and PTSD, and helping nonveteran students reconsider the way they think by encouraging them to have conversations with veterans. 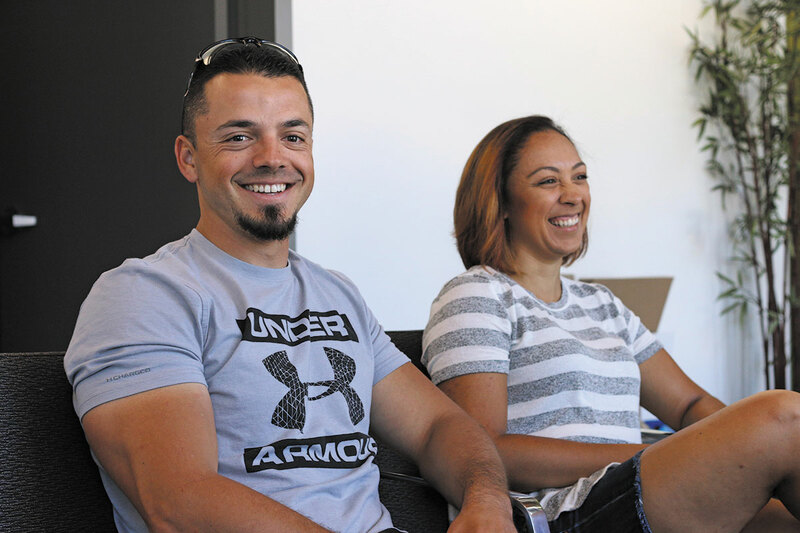 For Harrenstein and Esparza, the transition to college has been positive overall. 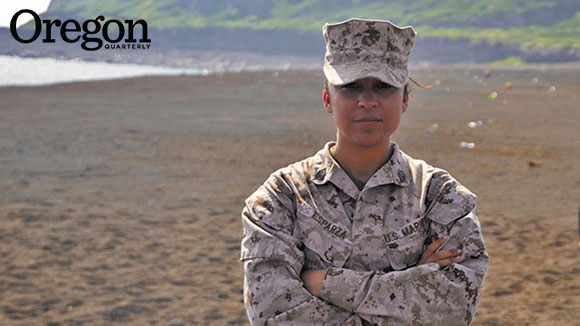 Esparza says that participation in the various student-veteran programs has not only helped her find her niche on campus, but also led her to become an advocate for underrepresented students and to map out a future for herself that includes law school. She is also a candidate for the prestigious Tillman Scholar Program, which recognizes military service, leadership, and academic excellence. The UO is a university partner in the Pat Tillman Foundation, which names 60 Tillman Scholars each year. “It’s taken me two years to realize that I can be active on campus without necessarily joining a sorority,” Esparza says. “There was a fear that I wouldn’t fit in. But I’m starting to feel like I do. This year marks the 100th anniversary of the Webfoot Warriors, the Reserve Officers’ Training Corps (ROTC) program at the University of Oregon. Students who meet the eligibility requirements and stick with the program receive subsidized tuition and, after graduation, are commissioned as officers in the US military. The curriculum consists of courses in military science and history as well as practical skills and leadership training. The ROTC program traces its roots to the National Defense Act of 1916, a bill signed into law by President Woodrow Wilson barely a year before the United States entered World War I. Prince Lucien Campbell, the UO’s president at the time, established the first ROTC curriculum at the university, placing a retired British military officer in charge. More than 100 students participated in the first drill in March 1916. The unit received a General Douglas MacArthur Award for the 2014–15 academic year, recognizing it as one of the top eight Army ROTC programs in the country. According to the unit’s records, the University of Oregon has produced more general officers than any nonmilitary ROTC program in the country. The program celebrates its 100th year on campus with the Alumni Association hosting a weekend, September 2–3, filled with celebrations to honor dedicated ROTC alumni, friends, family, and service members. The events will kick off on Friday, with a reception in the evening, followed by a tailgate on Saturday before the football season opener at Autzen Stadium. For more information, visit uoalumni.com/ROTC2016.